I am fascinated with the study of the human body through the lenses of both art and science. In my art, I like to highlight the symbolism between nature and human anatomy. I have chosen these images to make up a triptych that I hope will emphasize this relationship. 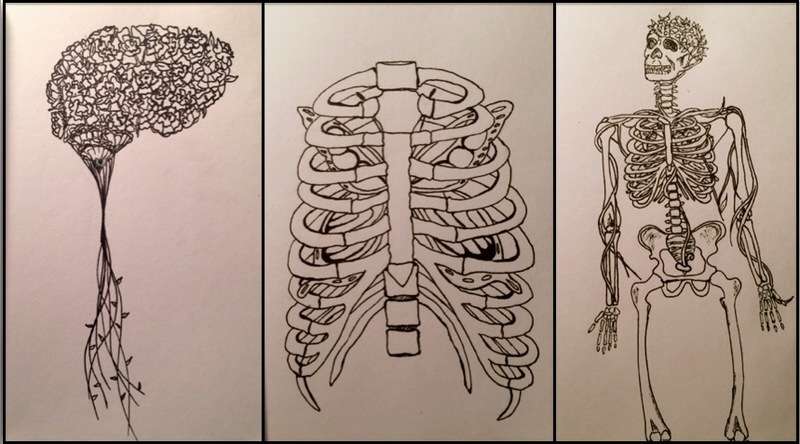 As a medical student, art acts as an outlet for me to express my growing curiosity with medicine and its overlap with the field of humanities. Posted in Student Humanities Blog on September 8, 2014 by CMAJ.